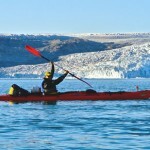 Enjoy navigation by speed boat in a sea filled with iceberg approaching glacier fronts, experience one of the largest glaciers in Greenland in a unique and easy glacier hike using crampons and visit the most picturesque towns and villages of South Greenland: Igaliku, Narsaq and Qassiarsuk. This unique heritage has been recently recognised and inscribed in the UNESCO World Heritage List. You’ll explore this remote and unspoilt landscape not only by zodiac but also on foot… One week you will never forget! The hikes are quite easy, approximately 3 or 4 hours walking, and suitable for most abilities. The excursion on ice with crampons will be guided by a mountain guide, and is also suitable for anyone physically active and with an adventurous attitude. For the kayak optional excursion, previous experience in kayaking is not required. Flight from Reykjavík (Iceland) or Copenhagen to Narsarsuaq (south Greenland). Reception at the airport and zodiac boat transfer to Qassiarsuk (former Brattahlid, capital of Viking Greenland). Walk through the village of about 50 inhabitants and guided tour of the viking ruins of Brattahlid, learning the history of the arrival of Eric the Red from Iceland at this small settlement in 985. Of particular interest are the reconstructions of a Viking house (spacious but cold) and an inuit dwelling (small but warmer), transporting us back in time to the harsh conditions in which these people lived and it definitely shows us how the Inuit knew how to adapt better to the progressive cooling of the climate. This Norse and Greenlandic core farming area were in 2017 inscribed on UNESCO’s World Heritage List under the title Kujataa Greenland. Night at the Leif Eriksson Hostel. We will set off for Qaleraliq camp, our base beside the greenlandic ice cap, navigating along the Tunulliarfik fjord among icebergs. Halfway we will stop at Narsaq, the third most populated town in South Greenland with about 1,500 inhabitants. Free time to visit the museum, the fish market or the fur shops before boarding the boat again to navigate towards the Inlandis. We will arrive to our camp set on a sandy beach, which contrasts with a spectacular view of three glacier tongues. 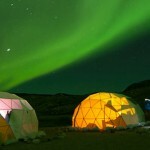 We will spend the night at the camp, allowing our senses to enjoy the thunderclap roar of the icefall from seracs. Accommodation in 4 bedded basic but comfortable rooms of Domo “loft”. In the afternoon, on our way to Qassiarsuk, we will visit the Qooroq Fjord, one of the most active glaciers in southern Greenland, navigating to the area where iceberg density will make it impossible to carry on… one of Greenland’s unforgettables! 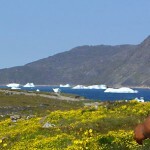 Hiking to Tasiusaq farms, next to Sermilik fjord which is almost always blocked by the icebergs coming from Eqaloruutsit glacier. This is not the only sheep farm of the area and we can continue our walk to reach the idyllic Nunataaq. 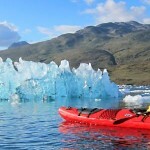 Then, after the picnic, it’s time for action: optional kayak excursion in the “Iceberg Bay”, a 2 hour kayaking trip for beginners among icebergs in one of the safest and nicest spots in southern Greenland (85€ , minimum 2 participants). 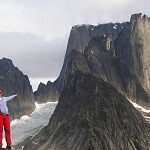 Accommodation at the Tasiusaq hostel or hike back to Qassiarsuk and accommodation at the Leif Eriksson Hostel. From 10th to 17th of September. From 14th to 21st of September. From 17th to 24th of September. From 21st to 28th of September. 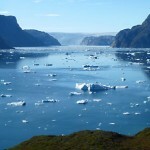 – Flight Reykjavík or Copenhagen – Narsarsuaq. Return flight.